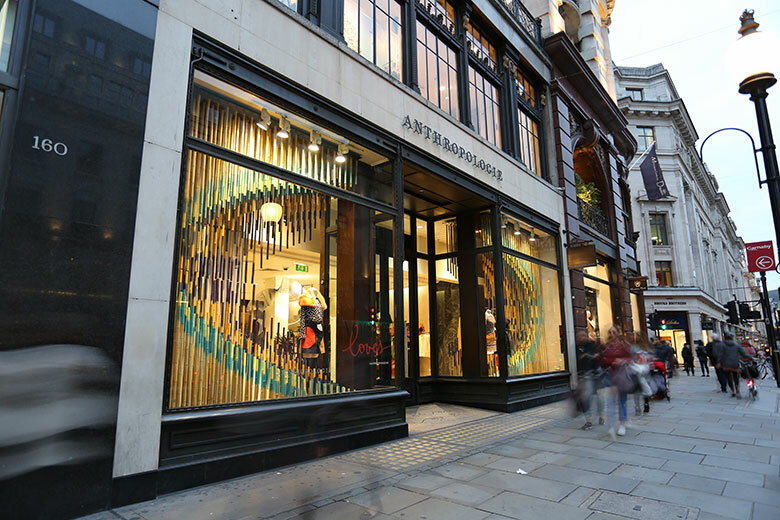 RIBA Regent Street Window installation with EPR architects Brad Turner. September 14, 2015. 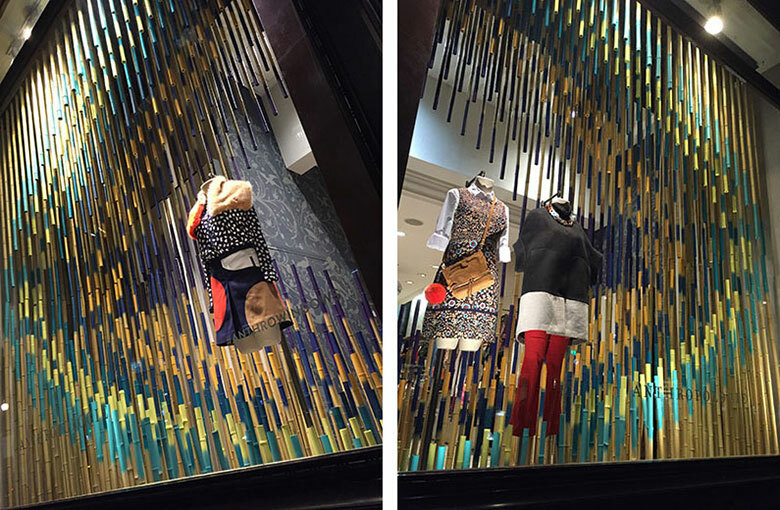 The display was inspired by Anthropologie’s hand-made and craft-based approach to store decoration, re-cycling and rearranging found and natural materials to form captivating displays. We wanted to fill the volume of the windows, activating the entire space, and explore the leftover void made by taking a scoop out of a dense forest of bamboo – over 1.5km in total! 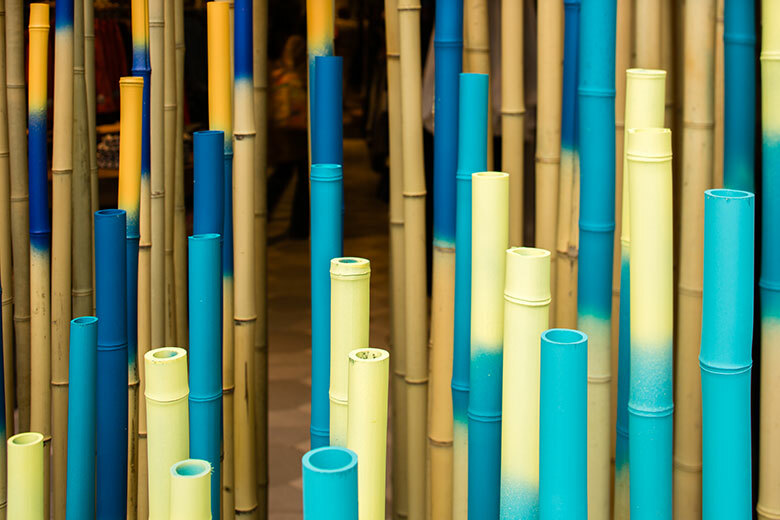 The painted tips of the bamboo canes accentuate the form and alter its appearance depending on the viewer’s perspective. 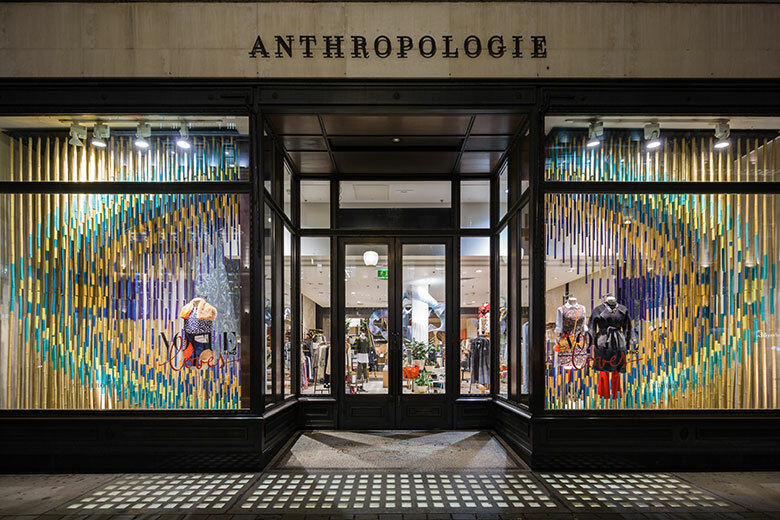 The colours were chosen with Anthropolgie, referencing their current season. 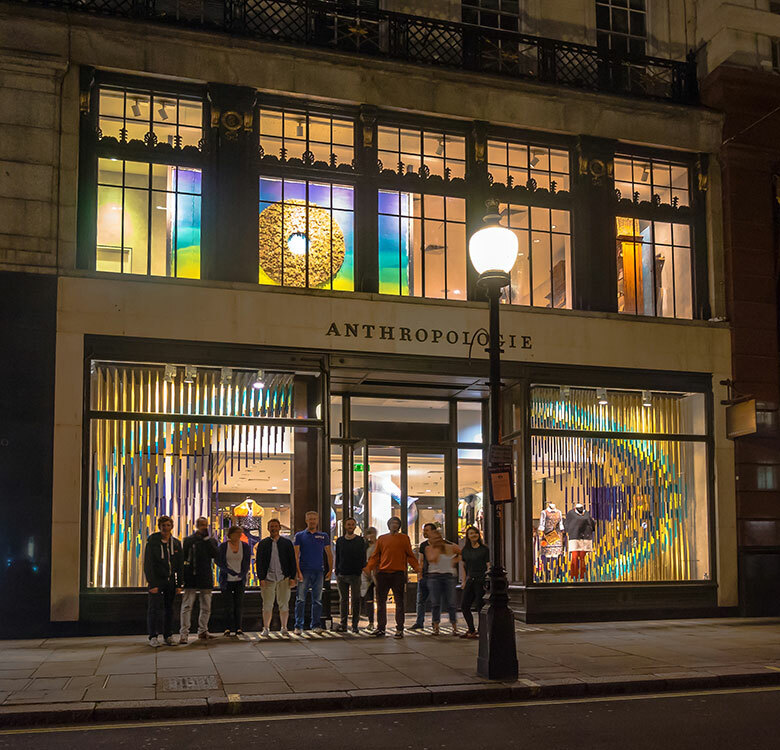 The installation is one of 13 along the length of Regent Street as part of the London Design Festival and coinciding with London Fashion Week. The installations will be on display until the 27th of September. 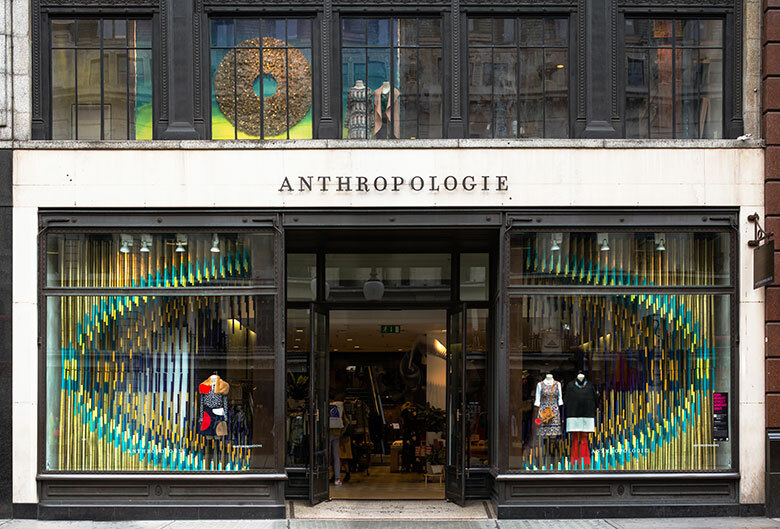 Watch a short ‘making of film’ produced by Anthropologie.